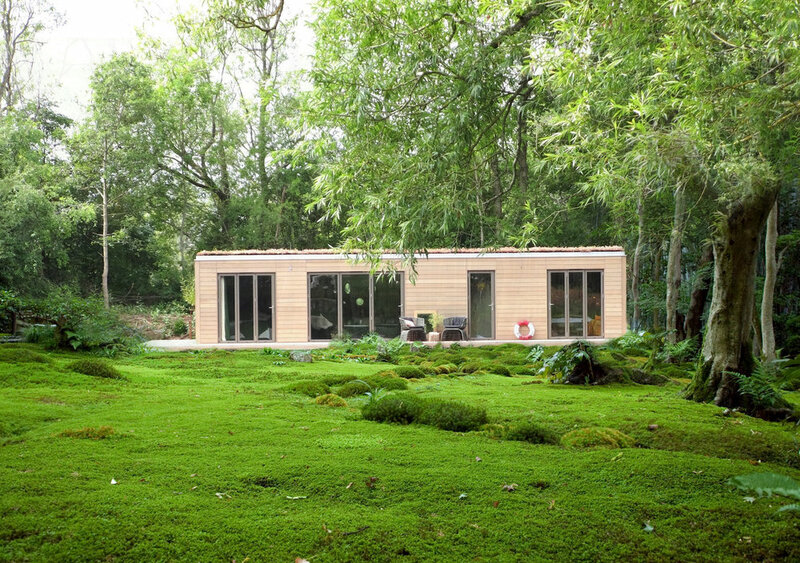 Bespoke building of beautiful floating homes, offices, studios and retreats. Eco Floating Homes design and build stylish contemporary floating homes. Warm, light filled rooms with walls which open wide to allow you to connect with nature. 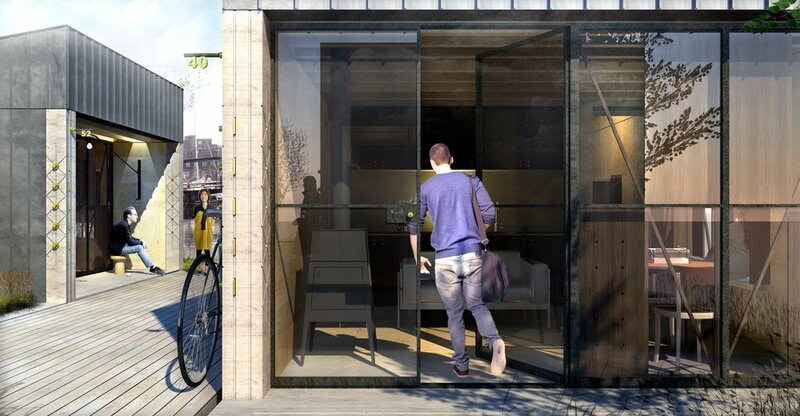 Stylish, uplifting, efficiently and expertly built, this is 21st century living. Are you looking for a home, a holiday home, an office or for extra space. Eco floating homes can help you realise your vision. Let us work with you to create a beautiful, stylish space to enjoy all the pleasures of a waterside lifestyle with family and friends. Your vision, your life, all built with design ingenuity and exquisite craftsmanship, using only the finest materials, beautiful timbers, fabrics and paints. And if we can’t find the right furniture we will make unique pieces for you. 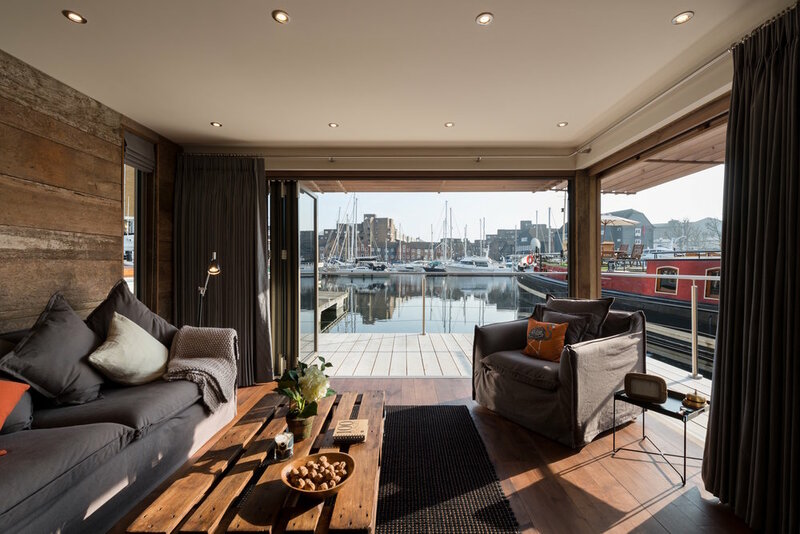 All our floating homes and offices are built for a lifetime’s use, come with a 10 year guarantee and often need no planning permission. As with any new design everything is possible. Beautiful spaces exploiting the rich diversity of reclaimed materials or crafted with crisp contemporary lines. "We Love Our River" - Barbara Chandler of the Evening Standard meet a couple who have said goodbye to a noisy London flat. A serene summer evening on the river at Hampton Court, and the only drama is the sound of water negotiating a nearby weir — plus the occasional honking of a goose. "It's not like the nonstop din of our old flat at Canary Wharf," chuckles Conrado Galves, sitting contentedly aboard his new "floating home" moored off Ash Island, at the end of a long row of boats. He shares this little haven with his wife, Ana Abar, who he met in their home country of Brazil while working on the same TV production. Their home is not a cramped houseboat with tiny windows and no room to turn, but an example of a new breed of floating home — a sleek, modern, pale wood floating house with easy head heights and a glassy run of sliding picture windows and doors revealing views out over the river. "most of all we love our surroundings," says Conrado. "We are connected with nature in a way we never knew was possible". "The view is our main decoration," says Conrado. An outside staircase at the side leads to a flat roof with a barbecue, and their sedum lawn. "We love to party — it's part of our culture,"
They plan to raise their family on their river home. "After all, we have called our home Vida — that means life in our language." Crafting floating homes, offices, studios and retreats. Mike leads a collaborative team of designers, architects, engineers, artists, builders and makers. With direct links to the William Morris Arts and Crafts movement, Mike first trained as a Master Builder then trained as a Classical Architect. Mike has traveled across the world to work with artisan designers on projects from California to Afghanistan. We are committed to delivering inviting spaces with enthusiasm and a fresh eye. We create dynamic, flexible living spaces, sympathetic to their landscape. 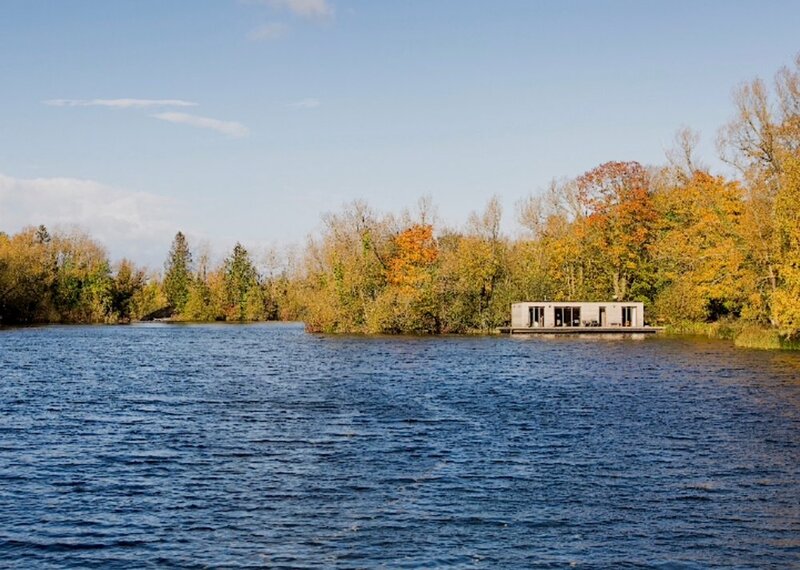 Our floating homes and floating offices are hand built in our rural Hertfordshire workshop and delivered to your site with minimum fuss. 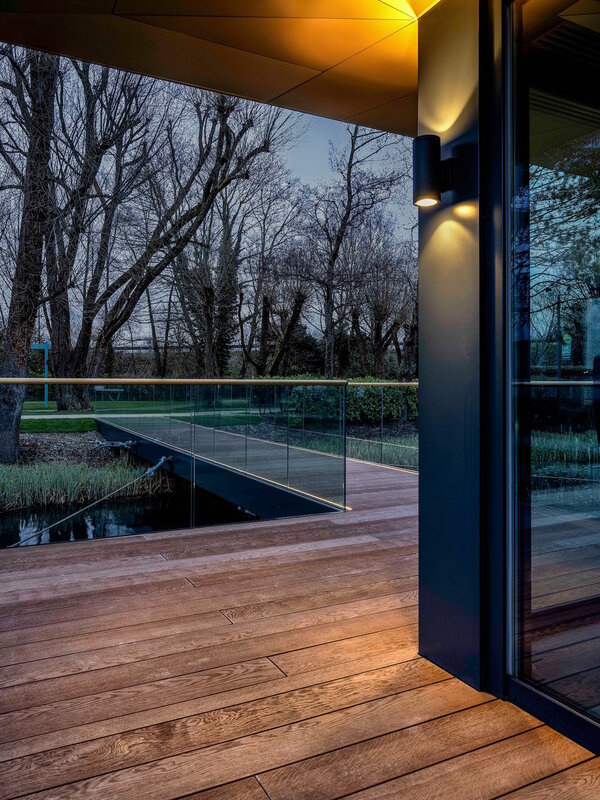 Each commission is a close collaboration between us and you, a thoughtful and very personal service that gives you floating architecture with a sense of delight and place. 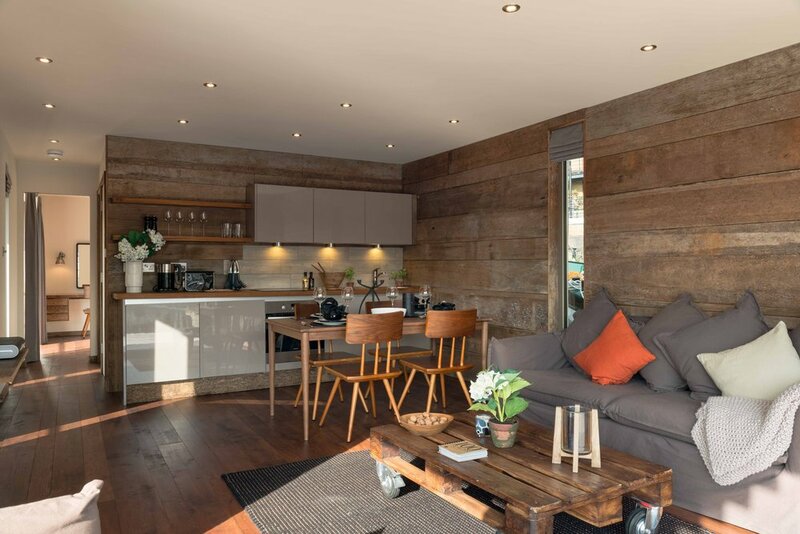 We also believe in sitting lightly on our environment, all our highly sustainable floating homes are built from materials with provenance using ethical work practices. "But most of all we love our surroundings," says Conrado. "We are connected with nature in a way we never knew was possible". Our self contained floating homes and offices offer you a huge range of solutions to creating the extra space you want. Fast premium manufacturing, our unique design and build gives you top quality spaces and workshop assembly is never delayed by wind, rain or snow. From small urban sites to remote rural locations we install homes and offices where ever you want, on water, on land.